Learn how to make soya chaap curry at home. 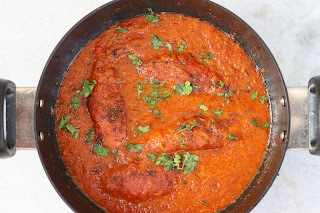 It is one of the yummiest Indian curry recipe for vegetarians, a good replacement for non veg. Homemade soya chaap recipe is simple to make yet very tasty. 1. Heat oil in kadai and saute chaap pcs from all sides on medium flame. Alternatively, chaap can be deep fried as well. 2. Remove the chaap once cooked. Heat 1 tsp oil and saute ginger garlic till brown. Add onions and saute till brown. Onions should be browned well so saute for 10 min. 3. Add tomato puree along with all spices and cook the masala for 10 min till oil separates in kadai. Add malai or cream to bring richness in the gravy and cook the complete malasa for 10-15 min on low flame. 4. 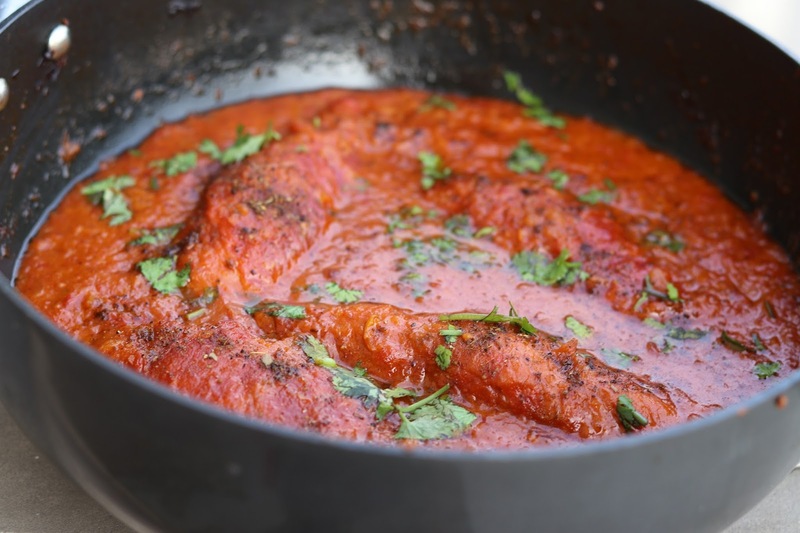 Once masala is cooked properly, add water as per desired consistency and allow the water to boil. 5. Add chaap pcs in boiling water and cover the kadai. Cook for good 10-15 min on medium flame till the curry becomes thick. 6. Serve hot soya chaap curry garnished with garam masala and fresh coriander.